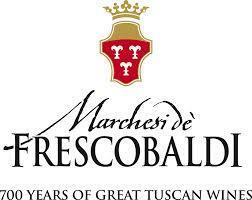 The Marchesi de' Frescobaldi is one of Italy's oldest wineries, with a history dating to the 1300s. The family has included medieval knights, bankers, lawyers and patrons of the arts. The Marchesi de' Frescobaldi is one of the most significant wine producers in Italy, with nine estates--and roughly 2,500 acres--in Tuscany. The family has been growing wine since the late 19th century, when they became the first in Tuscany to import and plant French vine cuttings. Because they have been producing wines for more than 700 years, to experience Frescobaldi is to glimpse the history of Florence, from the Middle Ages to the present day. Wine Spectator has ranked many of their offerings in the 90s and their wines are consistently listed in the magazine's Top 100 Wines of the Year, encouraging wine enthusiasts from around the globe to become familiar with some of Italy's finest wines. James Suckling 93"This has delicious undertones of sage and thyme that highlight ripe yet refined notes of strawberries, red cherries and darker blackcurrants. Full body, a dense, generous texture and a polished finish." James Suckling 93"Lots of blueberry, black currant and lavender aromas and flavors to this. Medium to full body, fine tannins and a fresh finish. Drink or hold. So long and refined. Extremely well done." Wine Spectator 90"Rich and round, this red displays cherry, plum, vanilla, iron and earth flavors on an accessible frame. Tightens up a little on the finish, but food or short-term cellaring should smooth this out. Sangiovese." Wine Spectator 90"The cherry and mineral notes are matched to vibrant acidity and gripping tannins in this red, tightening up on the dense finish. There's a good beam of fruit, suggesting this will improve with time." James Suckling 97 "Aromas of warm stones, dark fruits and walnuts follow to a full body, soft tannins and a savory finish. This shows ripe fruit and salty undertones that give the red a wonderful juiciness. It dense and tight now but will give so much pleasure in the future. Best ever from here. James Suckling 92"This is a solid red with blueberry and currant character. Full body, with silky and chewy tannins and a long, long finish. Tangy acidity with a citrus undertone. A blend of cabernet sauvignon, merlot, cabernet franc, and sangiovese."